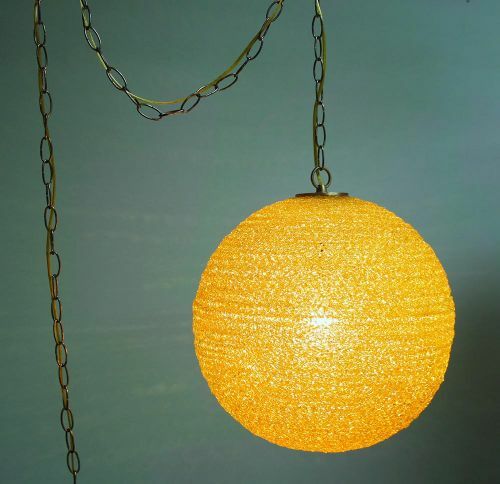 This one is a real coup — the first photos in the blogosphere of Practical Props’ new spaghetti globe and orb lights — in fact, they took the photos at our urging. 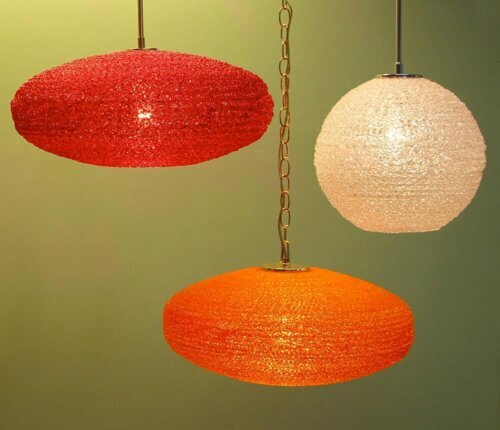 Yes, Practical Props, makers of some of our favorite reproduction cone and sputnik lights, has just added a colorful galaxy of spun acrylic globe and ellipse pendant lights to their lineup. These shades are made by a local artist who handcrafts them using the same techniques used to craft the 1960s and 70s originals. Vintage spaghetti lights are relatively difficult to find vintage — and they can be quite expensive — so having authentic reproductions so easy at hand is groovy to the max! 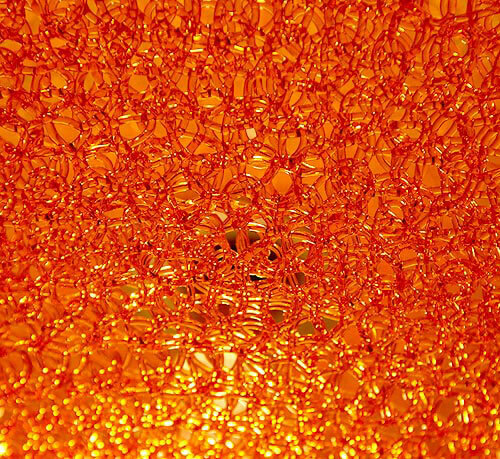 Our elliptical acrylic pendants are handmade by a local artist who uses the same techniques as the vintage ‘spaghetti lights’, spinning acrylic in different shapes and sizes. We then custom-make these pieces into pendants for our customers with chrome or brass hardware. 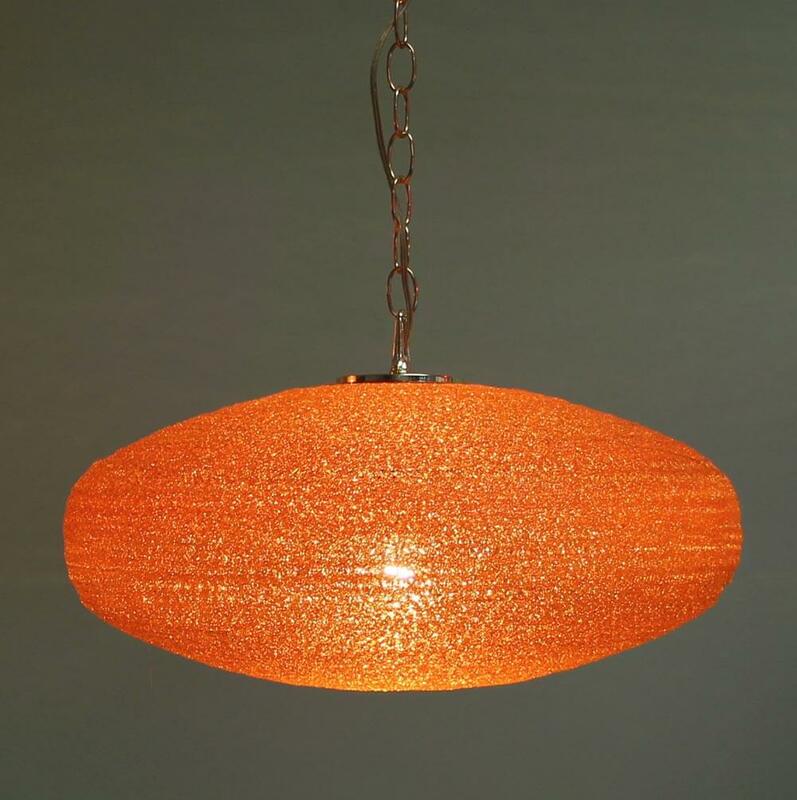 Our pendants can be made with rod hardware like our Sputniks, or with chain and cord wired to plug in, the vintage ’swag’ style. 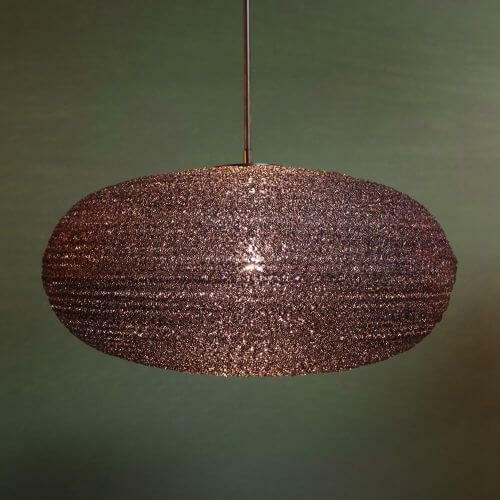 The most popular version is the ellipse shape, but they are also available in fully-round globe shapes and in custom colors. Chain Hardware is available in Polished Brass, Chrome, and Vintage Bronze finishes – Includes 36″ of chain and ceiling mount hardware. Rod Hardware is available in Satin Brass, Chrome, and Satin Nickel finishes – Includes a custom rod up to 24” and ceiling mount hardware. 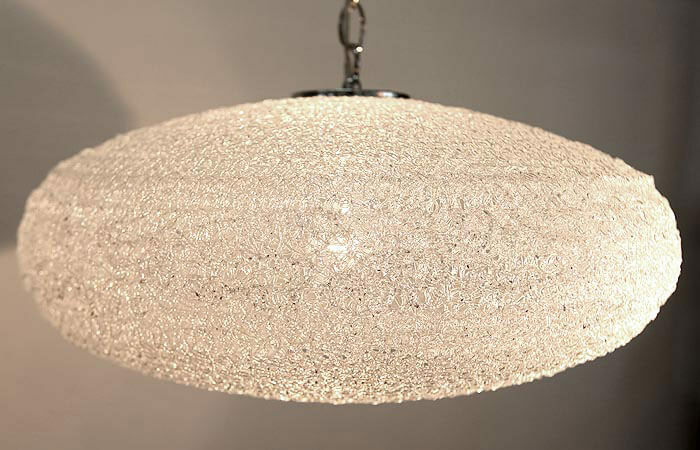 Each fixture takes a single bulb, 60 watt maximum – we recommend using clear bulbs to increase the sparkling effect of the spun acrylic! Other colors are available for special order. 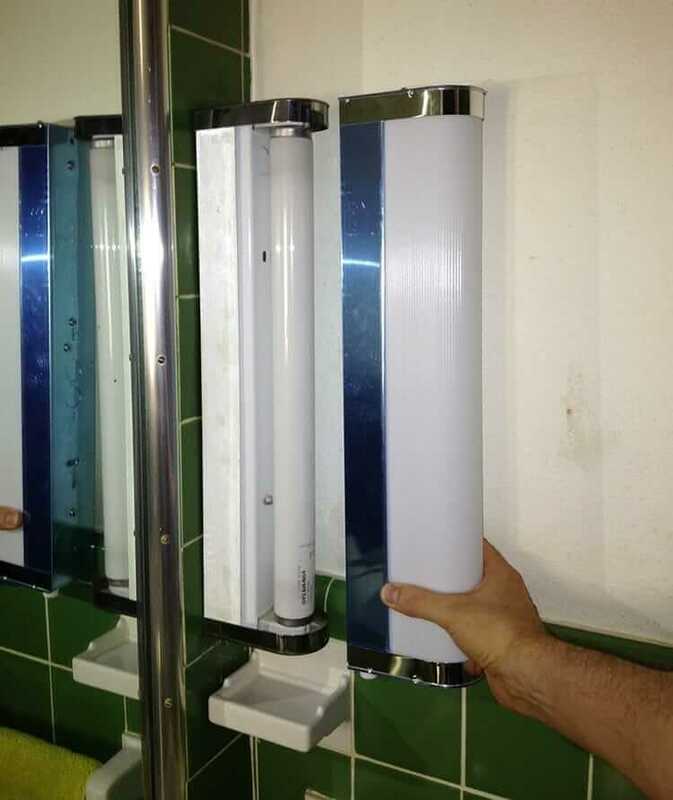 Each fixture is handmade, so colors may vary slightly. Above: 15” yellow globe pendant with retro bronze swag hardware, $159. Designed with a plug and switch to be hung as a swag in the retro style. 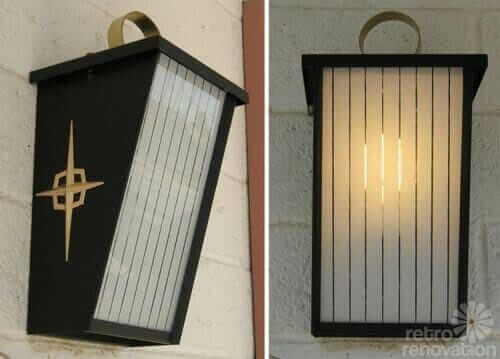 Any of Practical Prop’s fixtures can be made with a chrome or brass swag for an additional $20. YELLOW! 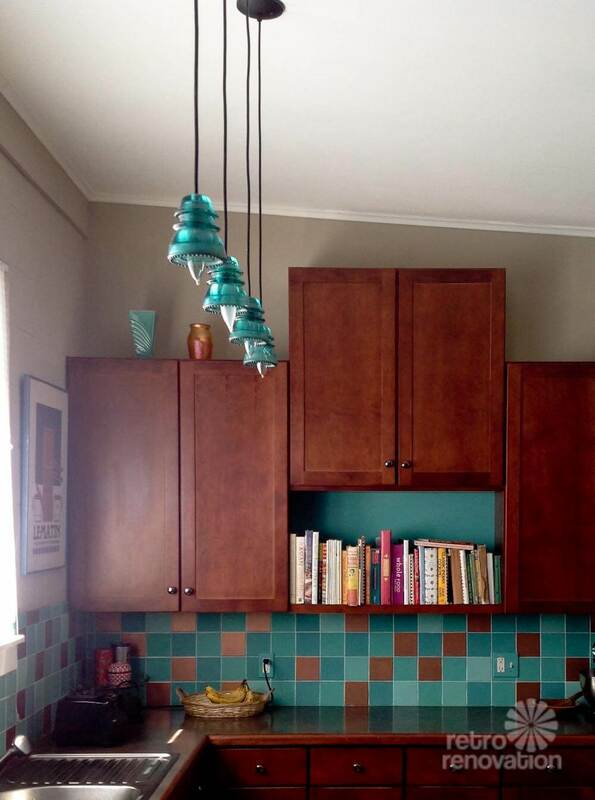 Our 2015 Retro Renovation Color of the Year! Above: 18” Ellipse pendant in orange with polished brass chain hardware, $159. Above: 24” Elipse pendant in gray, shown with satin nickel hardware, $275. 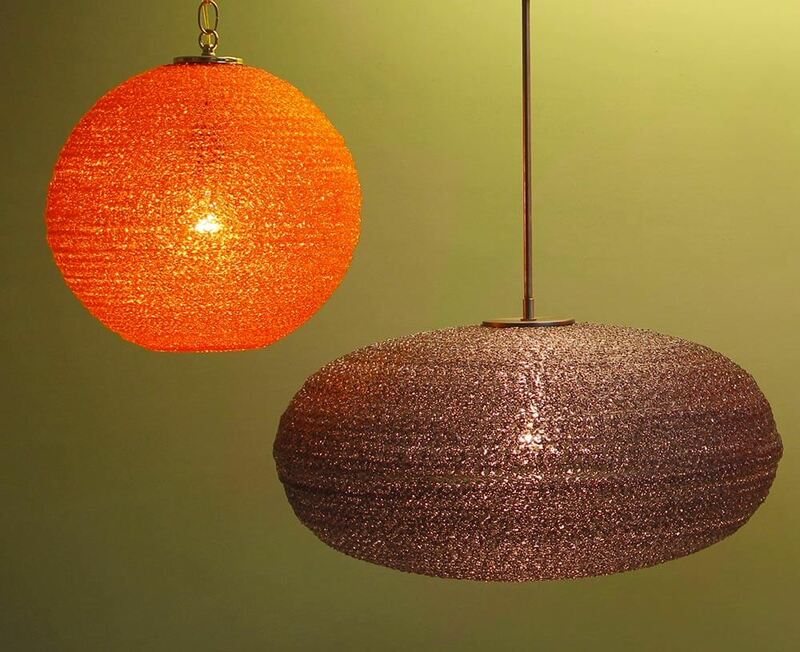 Above: details of spun acrylic texture – handmade retro pendants. I neeeeeed to get at least one of these when I build my home tiki bar! 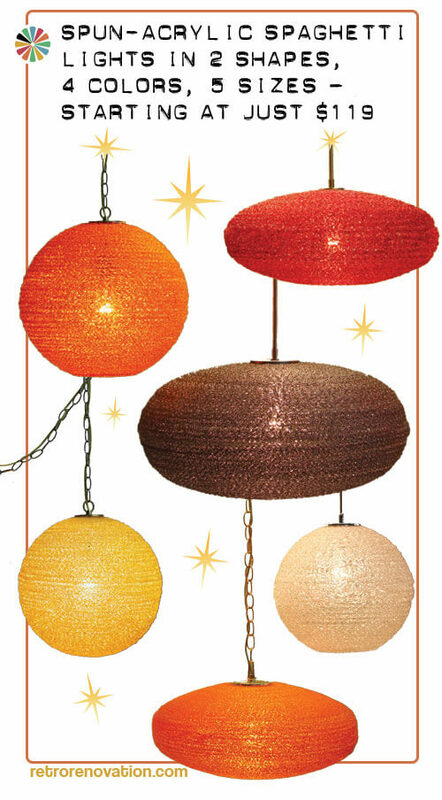 Pam also asked me to remind everyone that these globe lights are not to be placed under stepladders, as she learned after the bone-breaking Tiki Decorating Incident of 2014. Which color and shape will you buy? I’d say the 60 watt limit is not a determent in the least as I have a table lamp with a massive spaghetti globe base that is pretty spectacular when illuminated by just a 7 watt nightlight bulb. I would recommend using an LED bulb in these lamps, as they do not emit heat. 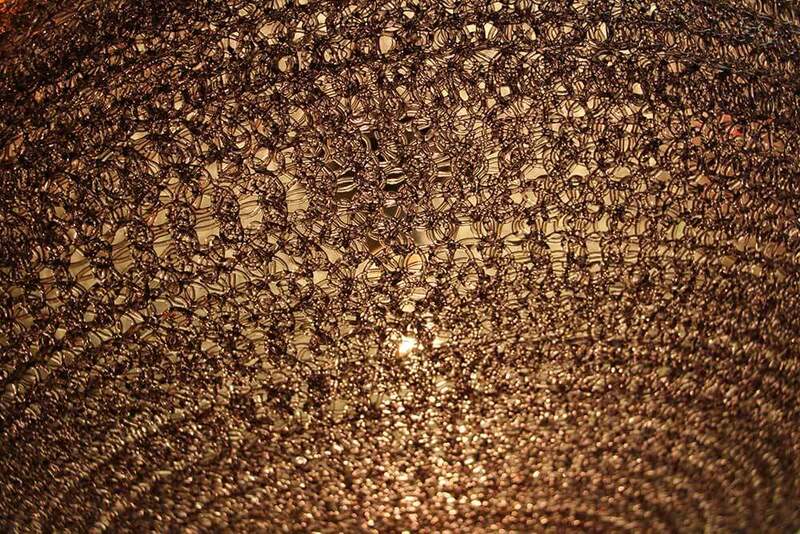 More costly than an incandescent bulb, but well worth it to preserve these beautiful lamp shades. I just looked on the Practical Props site and no spaghetti lights to be found. I have not emailed them to see if they are a special order. I don’t know what happened to them. Email or call them…. Della from Practical Props replied to my email that the spaghetti lights are too fragile to ship. They are still availble for pick up at the store. Talk to a good lighting store. I think there are adaptors for that. Are these spaghetti lights still available? Note, I am STILL seeing them on Practical Props’ website! 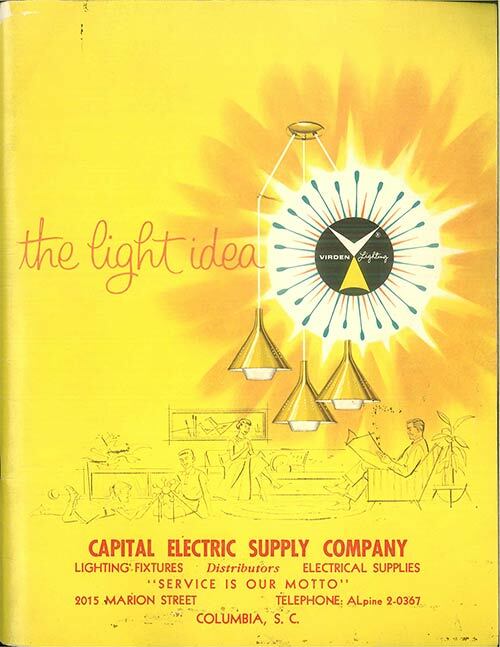 You just need to work the categories… they are pendant lights.